Shanti Hodges never intended to start a movement. She was just a new mom in a big city looking for some friends to join her on the trail. Now five years, many hikes, a book (and another on the way) and one nonprofit later, she is the founder and leader of Hike it Baby, an organization focused on “raising a generation to love the outdoors.” Essentially an international hiking group, Hike it Baby has 300-plus branches and 700 ambassadors and hosts more than 2,000 hikes a month, with approximately 20,000 people hiking on a daily basis. 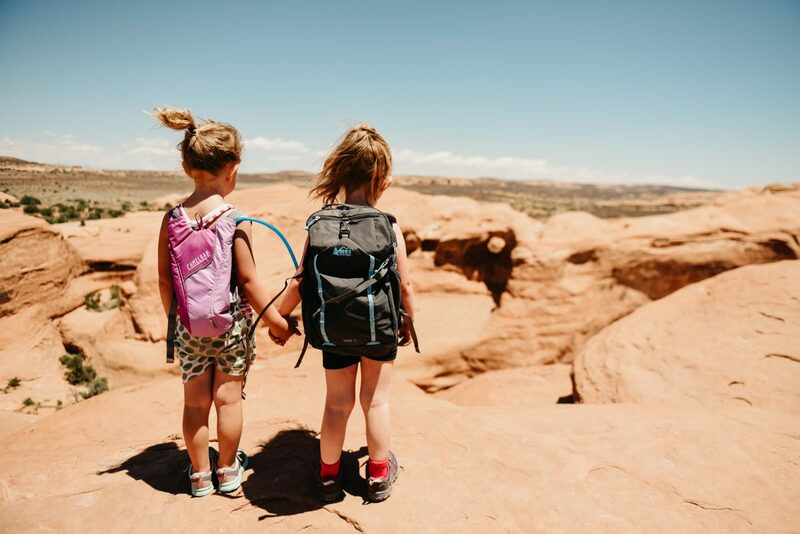 I recently spoke with Hodges about Hike it Baby’s mission, her passion for hiking and the importance of families getting outdoors. 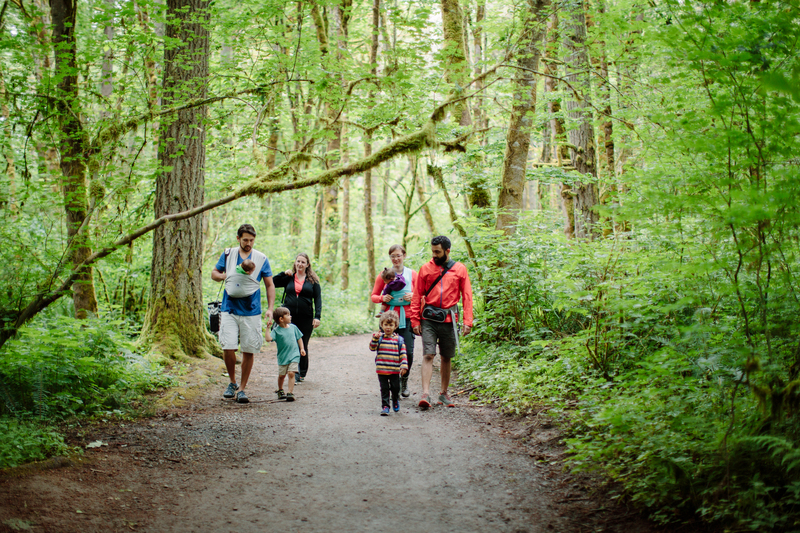 She also shared some advice for new parents eager to hit the trail with their little one for the first time. Tell me about Hike it Baby’s beginnings. It started in Portland when I had my son Mason. He was just born, and I realized that I was going to be alone a lot because my husband works in Alaska. It was a little overwhelming to think about how I was going to get out and do hikes and other things with Mason alone. So I basically started a hike group to make friends; I didn’t think anything of it. At first I knew it was really popular because I was getting tons of emails and phone calls from strangers saying “Hey, I hear you hike a couple times a week — what days and where?” So I created a newsletter, and 10, 20, 30, 40 people would show up for hikes. I realized that I needed more people hosting and planning hikes, so I created the website and the Facebook groups and … I’d give away prizes [to get] other people to host hikes. So I got it going and, within about a year, there were a couple thousand people in Portland, and people were writing me from around the country wanting to hear about it and how to do it, so we started a training program. We bunched it all under the name Hike it Baby and started calling the cities that were opening up “branches” because we were branches of the same tree. What I realized was it needed to be not just a one-off mommy hike group, but a group for the whole family and that you could find anywhere and it would be consistent. As I looked for [information about] hiking with babies online, there was just nothing. How can people get involved, whether they want to be an ambassador or just participate in a hike? Just show up and join a hike, or host a hike. I encourage people to post a hike in their neighborhood that’s really easy, like a park that you’re going to hang out in and then a walk that you’re going to do in the neighborhood. It doesn’t need to be an epic hike. I think people get hung up on it needing to be epic, and you really don’t need [that]. You just need something that’s going to be fun for people to join. Tell me a little about yourself and your passion for hiking now and before launching Hike it Baby. I always loved hiking, but I didn’t know I would end up with this whole world of running a huge nonprofit. I really just liked hiking. I hiked all the way through my pregnancy to when Mason was born because I knew it would be healthy for me, and I was worried about gaining a lot of weight and about not being active. So we were hiking right away. It connected me much better with my husband, too, because he’s often a pretty introverted person, and he’ll connect with me a lot better on trails. And I could see right away, once I started getting out on walks with Mason, how calm he was. We have since discovered he has some sensory [issues], so I think that always kind of medicated him. So really it’s incredible what hiking with a little kid can do for you. What about Hike it Baby’s mission do you think attracts so many people? Have you been surprised at all by people’s support and involvement as well as the project’s popularity? I’m totally shocked and amazed that it took off so big, but at the same time, I know that I was looking for information about hiking with babies online and not finding anything, so it makes sense that, if I’m the normal person — not any uber athlete or anything, just the normal person looking for that — why it would take off. At the same time, I got into Stroller Strides and Baby Boot Camp, and I just saw that, when you have a child, there is this desire to get out. From the beginning I [said] we were going to be completely free and will always be free because then it can be accessible for all. Since then, we’ve had to modify and have a membership simply because of laws regarding nonprofits; you do need some public support in order to … keep your nonprofit status. And we also had to become more financially steady so we could grow and keep going as an organization. What has been surprising is when people grumble about our organization being capitalistic. That surprised me, but then the flip side is I’m amazed at how many people write in their support. It goes both ways. But it has been really great seeing how many people and how many different cities, and how many different types of people, are coming together. What’s so cool is that people are now hiking from branch to branch across the country, so somebody will go visit their family in Houston and go hiking with them, and they’ll throw up pictures. So that is really unique, too, that it gives people a sense of community wherever they go. Do you have to become a member to join a hike? There’s a 90-day free membership, so you don’t have to. And after that, you can check a box if you [need] a scholarship. So it’s free if you need it to be. And if you want to join, it’s $10 a year. You also get entry into fundraisers, like Hike it Baby 30. I find Hike it Baby’s values, particularly “we leave no family behind” and “we are free of judgment,” alluring. Why are these priorities, and how do these translate on the trail? So when we started, what I saw was that a new parent often feels like they don’t want to hold people up. We’re not really on a mission to climb a mountain, so I realized that if we, from the beginning, set the tone that these will be slow hikes — these are families that just want to hang out on trail and get to know each other — then it really works, people really do follow that. That was really important to me. Also, the key was that it was family and not a mommy group because a lot of stay-at-home dads and families felt left out of a lot of the mommy stuff. So we wanted to make sure that everyone felt welcome. Our tagline is “parenthood is an adventure, bringing it outside.” This is really a parent group. We have some educational components for kids, but we try to not really push that. There are lots of educational things out there like Leave No Trace and groups like the Boy Scouts and Girl Scouts. 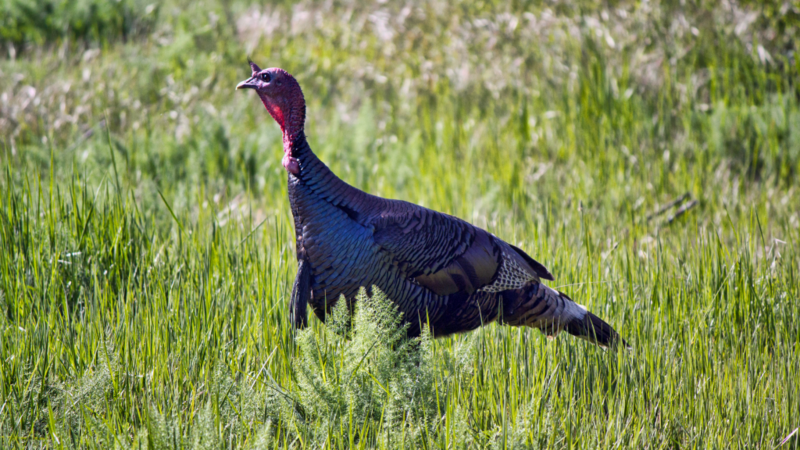 We want to just encourage that first step into the outdoors; that’s what our group is about. 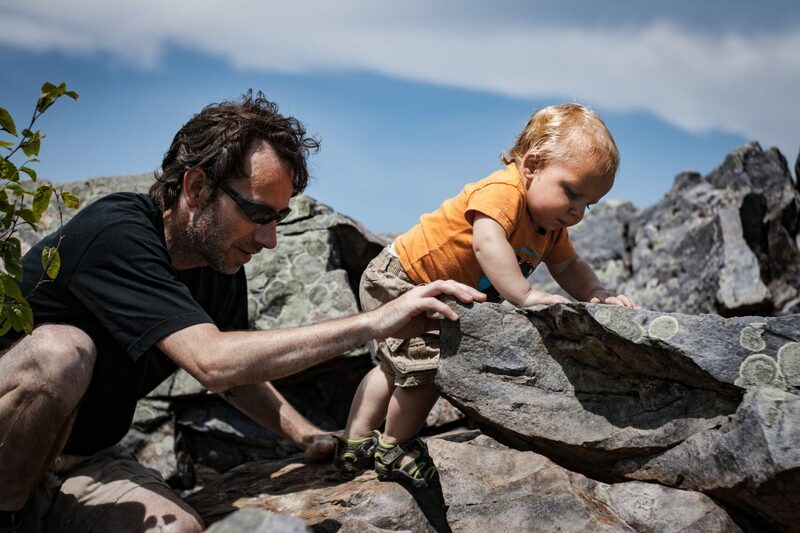 I love that a large part of Hike it Baby’s focus is on “raising a generation to love the outdoors.” Why do you think it is important to foster a passion for and connection with nature beginning at a young age? 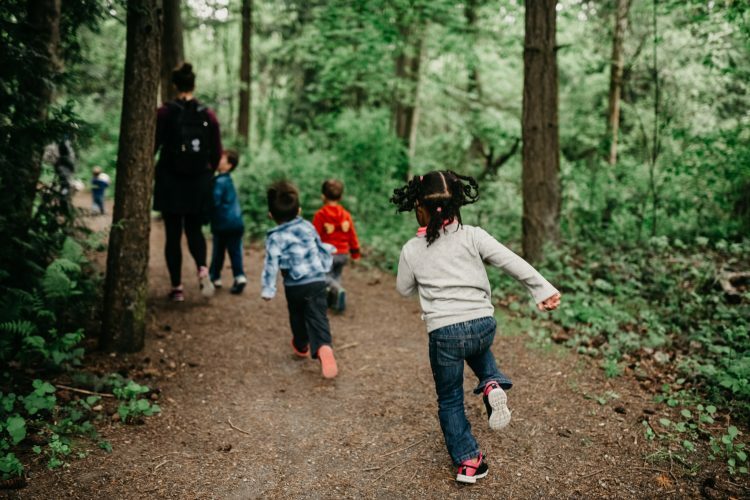 I think, right now, at such a critical time for families, where there’s this sort of disconnect from nature, we found that when they joined the group — even if someone wasn’t really nature-inclined — they became more aware of their surroundings and then so did their children. So we could really shift minds and help people understand better why the outdoors, why nature, matter — especially [being] a group that tracks families from all over the world from different cultures. 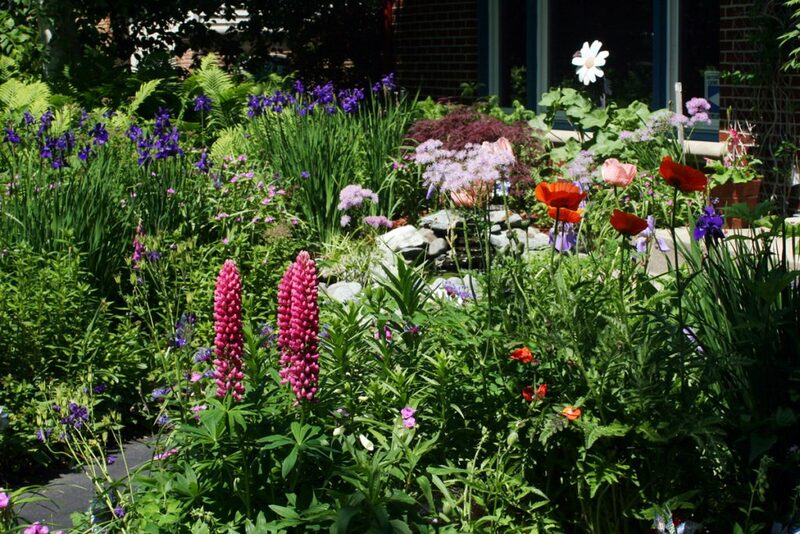 Growing up in Portland and Eugene, Ore., I had a really crunchy background, so being conscious of my impact on nature has always been part of my personal story. But for a lot of people, that’s not their story. … It’s [their] upbringing; I can’t judge [them] for it. I just have to look at it as a learning opportunity, for us to bring people in who didn’t grow up with that kind of understanding, to be more aware of what their impact is. So we hope we can model for children a better connection with nature. 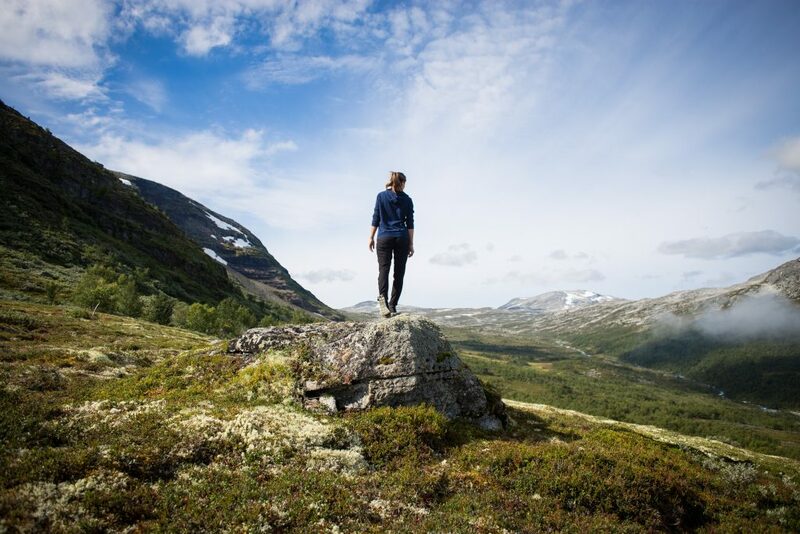 On a personal level, what benefits do you derive from being in and engaging with nature? What unique benefits do you think it offers new mothers? I think, for new mothers, it is just the calming effect it has, the connection with other mothers and fathers and not feeling isolated. Nature itself heals your body, and we know that; science shows that your body heals faster with a connection to nature. So if a woman can get out within a few weeks after she has a child, she’s probably going to have a faster recovery. We’re seeing it over and over from women telling us that their first birth was really hard, and they didn’t have Hike it Baby. Then, during their second birth, they were hiking up until having the baby, and after joining the group, it was just a completely different pregnancy for them. For me, my son will have some big flare-ups, and it’s always my reaction, even if it’s 8 o’clock at night, to jump in the car and get to a trailhead and go hiking; he calms way down. So for us, for my family, for me, it definitely has a calming effect. It also connects us a lot better to our community and our friends. I find a coffee date isn’t the same as a hike; I think [it forms a] stronger connection. Tell me about some of your current projects, such as Hike it Baby 30 and 10K Women Trail Project. Do you have any upcoming special projects in the works? The Hike it Baby 30 is a challenge to hike 30 miles in 30 days, or 30 minutes three times a week. So we’ve seen families all over the country getting out more because of that. That is one we do a few times a year. Right now, our other big focus as an organization is reaching out to communities that we’re not touching because, often, a white suburban family is going to reach a white suburban family. So, how do we reach more people in cities and in rural areas and really touch a lot further? We also recently completed with L.L. Bean [one of] the most comprehensive trail guides in the country. Anyone can access it; you don’t need to be part of Hike it Baby. You can take a look and find a trail in your area that’s been approved by us as family friendly. We don’t compete with other trail guides; we actually include links to other ones. The idea is that you want to go hike a trail instead of looking on five different websites to figure out if it’s good for you. You can just look on Hike it Baby and learn about it. View the trail guide here. Can you tell me about your first book, Hike It Baby: 100 Awesome Outdoor Adventures with Babies and Toddlers? The book is basically 100 hikes across the country; it’s not every state, but I tried to pick a lot of states. But we really focused on where Hike it Baby families go, and I crowdsourced the hike ideas from all the families. I obviously didn’t hike them all, but I hiked a lot of them. [I found] hikes that were really family friendly across the country. So I give you all those details that a normal guide wouldn’t give you, like is there a changing table, is there a bathroom, are their rangers nearby or emergency services, is it easy to park, those kinds of things. 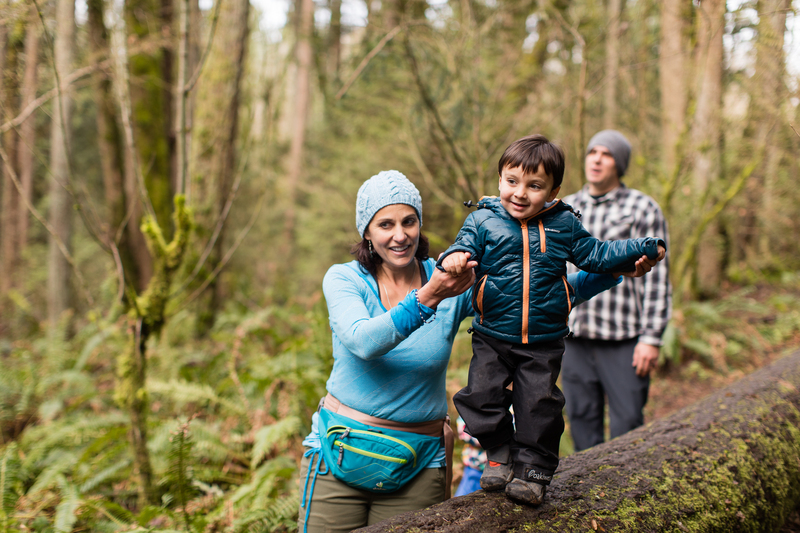 As an expert on hiking with kids, what is the best piece of advice you have for new mothers or fathers hitting the trail with their little one(s)? Pack the night before. Put everything in the car so that when you have a blowout or spill a smoothie or whatever happens the next morning, you’re not suddenly canceling because you feel like there were too many obstacles. Also, making a date with someone else. Whether it’s having a Hike it Baby hike to go on or having a friend to meet, those two things will really help you get out the door. What are the top three provisions you would recommend they take with them? Really getting serious about your carrier and trying all different things. I think people think if you’re going to go hike, you need to have a big frame carrier, and a lot of people are like “Oh, I can’t afford that,” so they don’t do it or they get a frame carrier that’s really uncomfortable, and then they don’t want to hike. So really just trying a lot of gear. There are a lot of ways to get free and discounted gear; join groups that have gear libraries, [for example]. Really focus on that piece — how you’re going to carry your child — because the way your back feels is going to make a big difference on whether you want to keep doing it. And then knowing that the baby’s body is going to change at different ages, so you’re going to need different carriers for different times, different ages. Also, just having your systems in place, so having your pack with the things you know you’re going to need on the trail. Make sure you check that regularly so that it’s filled. Have a little bit of first aid; do you have a good water bottle that you always throw in there and you know it’s ready to go? Do you have snacks that you know your kid likes so that you’re not going to be battling them on trail? Bubbles and a little bit of bribery go a long way. So making sure your carrier works, your pack has what it needs in it. Also, starting close to home, picking trails that are close to home so you don’t overextend yourself and freak yourself out in the beginning. Are there any specific brands of carriers that you recommend or that you really like? I really like the Onya Baby and that is because it’s nylon material and has buckles. It’s really easy and has real military-grade plastic buckles, so you can adjust it well. It has a really supportive waistband, and the baby sits a lot higher and a lot different than they sit in a lot of other carriers. Also, know that you don’t have to stop carrying your baby at three. There are toddler [carriers] — I still carry my son and he’s five. I have an Onya Baby Pure, and I carry him still on trail. While time spent with friends and kids on the trail is great, it can have significant effects on the terrain and wildlife. What does the organization and its many members do to give back to nature and maintain our nation’s hiking trails? We really encourage branches — and we’re going to be doing a lot more of this, this year — to host at least one clean-up hike because we’re on the trail so much. The other thing is, we really encourage people to take their diapers home, take their trash home, pack it out, because it’s less impact on a trail, especially on trails where it’s really hard for the parks service to get out. Leave No Trace, but also just really how can you help the park service because it is often underfunded.